The Child Care Centre offers 62 licensed spaces to families who require child care to fulfill work, education, and personal commitments. Home visits are the main component and an invaluable part of the Nzen’man’ Home Visiting Programs, which include Prenatal Outreach, Infant Development, and Home Portage. The Nzen’man’ Family Place is a place for children and families to come together and enjoy a variety of activities and opportunities to build friendships and support. The Nzen’man’ Aboriginal Supported Child Development Program is a community-based program to assist families with children with special needs who require extra supports and services. The program is intended to serve children up to 12 years of age, with some services for youth ages 13 – 19 years. Applicants must have a developmental delay or disability to be eligible for the program. The Nzen’man’ Aboriginal Infant Development Program offers universal support to families of infants and to those who are at risk for or have been diagnosed with developmental delays. 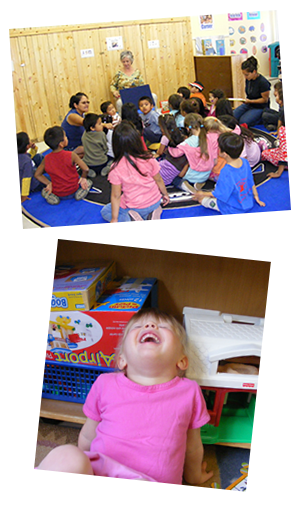 Our program is family centred, voluntary, and focused on children ages 0-6.